Did you know that every month, Lego stores in the UK host free build sessions for children aged between 6 and 14? The sessions are free to attend, you don’t book in advance (although I would recommend turning up early, before stocks are depleted) and best of all, the kids get to take their free Lego creations home with them. The free build sessions usually take place after school on the first Thursday of every month, between 4pm and 6pm. The next session takes place tomorrow (Thursday 5 June 2014), but if your children can’t make it, there is always next month. At every session, the children are given a new model to build. This month it’s a hovercraft; last month it was a helicopter. 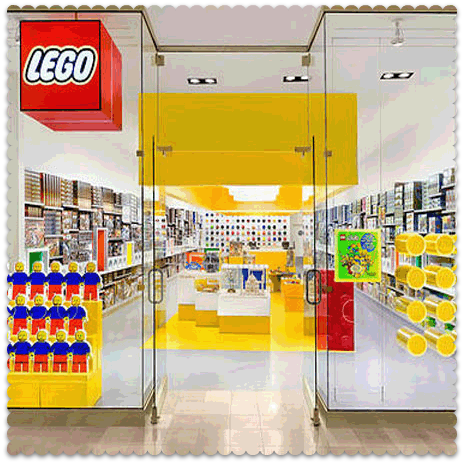 In the UK, Lego has stores at Bluewater, Brighton, Cardiff, Glasgow, Leeds, Liverpool, London Stratford, London Westfield, Manchester, Milton Keynes, Newcastle, Sheffield and Watford. Click here for more details. If you haven’t visited before, be aware that the Lego store is where children go to have the toyshop equivalent of an ecstatic religious experience. Lego stores are lots of fun, but also possess magical wallet-draining powers. If you are going to spend, then for goodness’ sake sign up for the free VIP Programme: Lego’s equivalent of the Tesco Clubcard. That said, I feel duty-bound to point out that if you are near Glasgow, there are additional Lego promotions to mark the Glasgow store’s first birthday. For example, if you spend £25 there between 6 June 2014 and 8 June 2014, you child will receive a limited edition Lego minifigure box, which can be filled with three FREE minifigures on the next visit. Terms and conditions apply, so click here for further information and for details of other birthday promotions. 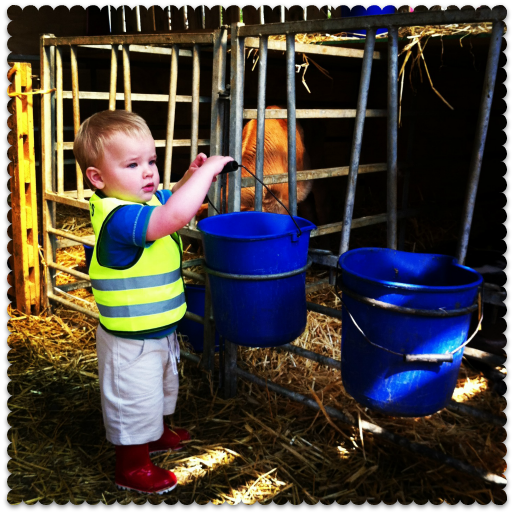 Open Farm Sunday comes round once a year… and it’s this weekend (Sunday 8 June 2014). Once again, hundreds of farms will open their doors to the public for the day, hosting events that range from simple farm walks to tractor rides and family activity days. Entrance is free and the farms taking part include working farms, smallholdings, school farms and city farms. You can find your nearest Open Farm here. Here in North Yorkshire, we are spoilt for choice: this year there are 5 participating farms within 20 miles of my house. So perhaps I am biased, but this is one of my favourite days of the year. Thrifty Kid, like a lot of toddlers, has a farm animal obsession. Last year, he was in his element feeding the calves (above) and ogling the pigs. A lot of the farms have farm shops, pop-up food stalls and more: the farm we went to last year even had its own ice cream parlour. If you want to save money by taking your own food, there tend to be picnic areas aplenty. So make a meal of it: if the sun is shining, this is a terrific day out. You are welcome! It’s a great day. Thanks for the info. Great to be reminded that fun for kids can be free. I stay in Sydney, Australia and there are heaps of free choices here too! Free fun is all the more enjoyable. You have inspired me – I will definitely be adding some free fun activities for kids in & around Sydney on my blog. The free farm idea is great – I am going to search for something like that here too. 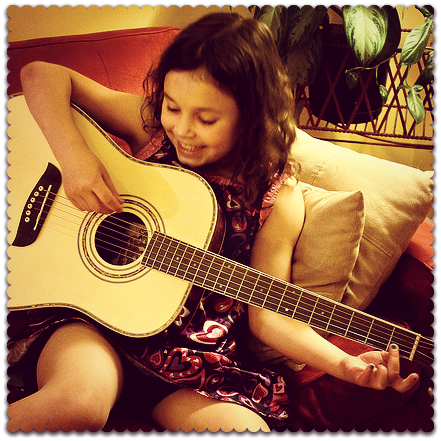 A childrens tractor experience plus guitar and lego was the dream for me when I was a kid! Love it!